If you have any queries or comments please check out our FAQ - Frequently Asked Questions page. If you can't find what you're looking for then send us a message, and we will get back to you as soon as we can. From M5 Junction 12: head towards Gloucester, at McDonalds roundabout, take the third exit (A38 Quedgeley by-pass). At the next roundabout take the second exit into Waterwells Business Park. Straight on at the next roundabout past the police headquaters. Carry on until the next roundabout and turn left, then first right into Stephenson Court. 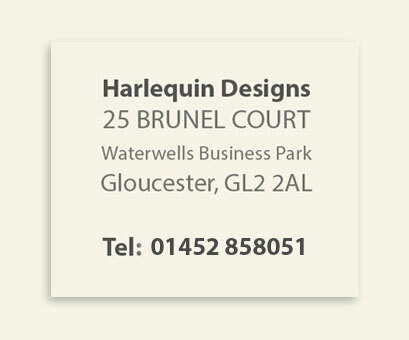 Turn right into Brunel Court and our office and showroom is on the left hand side. There is ample free parking in front of our building. From Gloucester: follow directions for the M5 South (Bristol). At Cole Avenue traffic lights take the A38 Quedgeley by-pass. Continue straight on at the Kingsway traffic lights and take the next left at the roundabout into Waterwells Business Park. Straight on at the next roundabout past the police headquaters. Carry on until the next roundabout and turn left, then first right into Stephenson Court. Turn right into Brunel Court and our office and showroom is on the left hand side. There is ample free parking in front of our building.